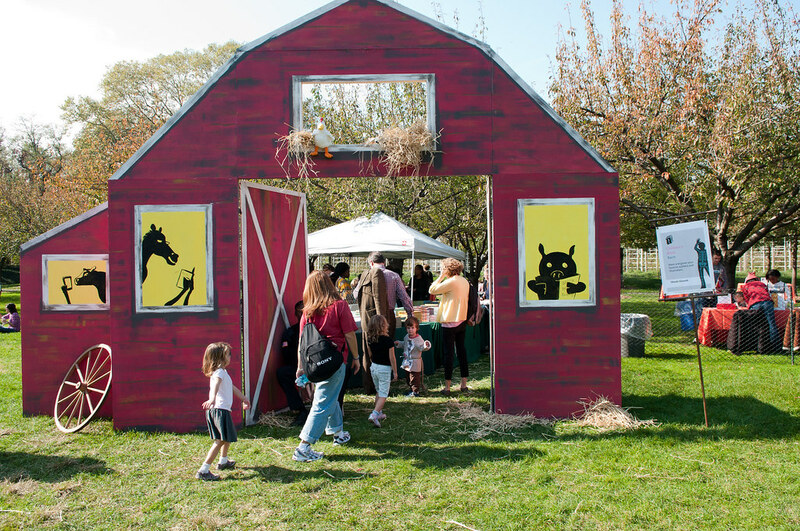 Next Saturday, October 29, children and their families will flock to Ghouls & Gourds, BBG's biggest family event, to enjoy activities ranging from ‘pretend petting zoos’ and live music to costume-making, puppetry, and parades. They’ll also have a chance to meet 14 authors and illustrators of the books they love. Over the past few years, the Book Barn at Ghouls & Gourds has grown into a signature event, where talented story spinners charm families with readings and book signings—and get to spend time with the children that help inspire their work..Although all currently local to New York, this year’s authors hail from many different parts of the world, lending rich diversity to their stories, styles, and messages. Each will meet with fans from noon to 4 p.m., and many will oversee fun activities, like Huy Voun Lee, a regular participant since 2007. Known for her paper creations, Lee loves to engage kids in creations based on origami or paper cutouts. Some books will stir memories for parents that have read classics like The War with Grandpa and Chocolate Fever by the engaging Robert Kimmel Smith. Others represent a newer generation of stories for children, like Bryan Collier's Obama, a biography of our president's childhood. Collier, whose distinct artwork uses a combination of watercolor and collage, possesses a long list of illustration credits. His first work as author and illustrator, Uptown, won both the Ezra Jack Keats and the Coretta Scott King awards. Throughout the afternoon, the authors will take turns reading their works to a willingly captive audience in a book tent made of colorful fabrics and filled with inviting pillows to flop down on. So come on in to the Book Barn to visit other worlds: those emerging from words and pictures, hidden treasures between book covers. Families meet local authors & illustrators at the Children’s Book Barn. Photo by Jason Gardner.